Kimi Räikkönen plans to marry his girlfriend Minttu Virtanen next summer after the Finnish model gave birth to the pair's first baby, Robin in January. Rumours were swirling around that the pair got married in New York right after the F1 season finale in Abu Dhabi. That was, however, dismissed by Minttu. "We did not get married but I did find a wedding dress" said the supermodel. Minttu also added that they have already discussed the date. "So next summer I am allowed to call him my husband." It will be the second marriage for world champion Kimi Räikkönen as the Finn was husband of another Finnish supermodel, Jenni Dahlman. 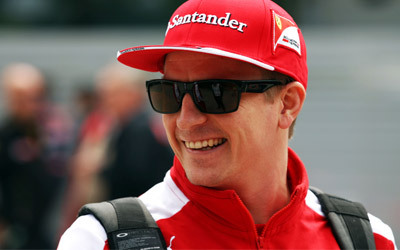 The pair celebrated its wedding ceremony in 2004 as Räikkönen was still Mercedes-bound. The pair then split in 2014.